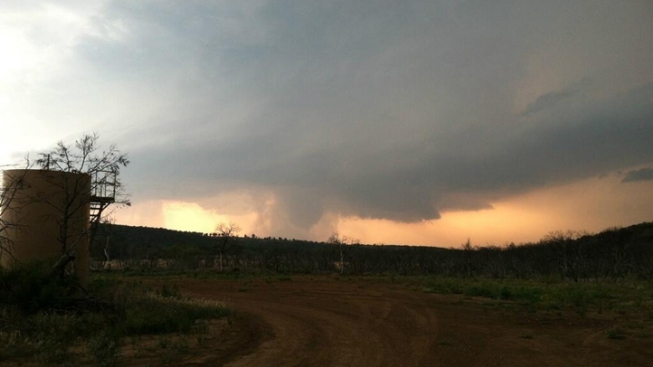 Photo of a tornado near Eliasville in Young County on Friday night taken by Martin Lisius. As many as three tornadoes may have hit in Young County on Friday night, according to the sheriff. The Young County Sheriff Bryan Walls said the tornadoes were near Eliasville. One house that took a direct hit was damaged, the sheriff said. There are uprooted trees, and one roadway is blocked with debris, he said. The storms also produced baseball-sized hail in the area after the apparent tornadoes.